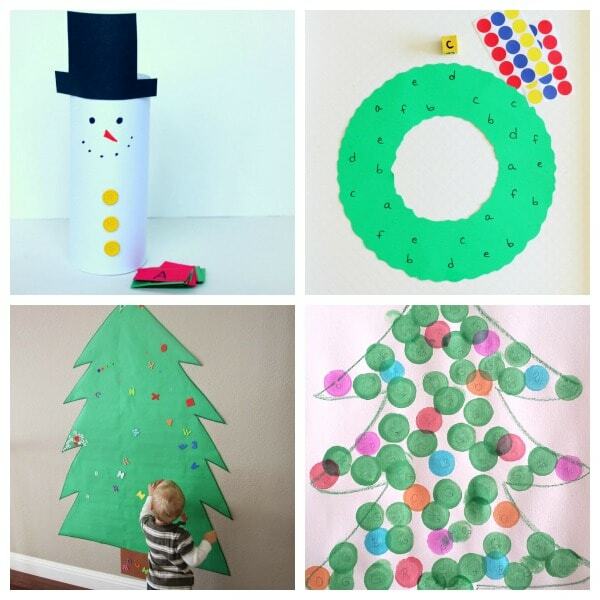 These Christmas alphabet activities are sure to be a hit with preschoolers! 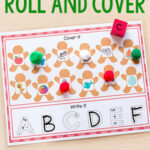 They are all hands-on and playful ways for kids to learn letters this holiday season. 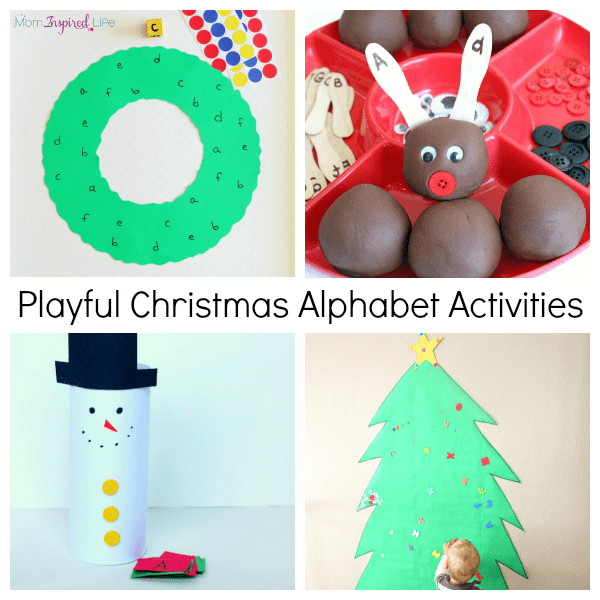 We love doing alphabet activities and that doesn’t change during the Christmas season. I enjoy finding unique and creative ways to learn the alphabet while celebrating Christmas! 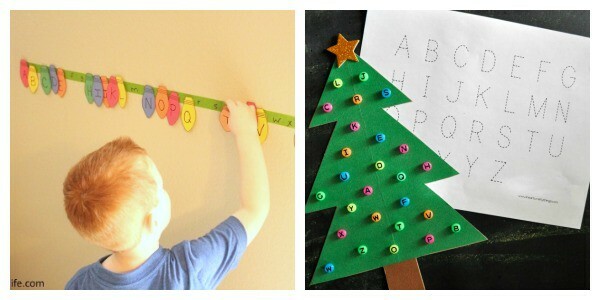 The best Christmas alphabet activities! Giant Alphabet Christmas Tree activity from Frogs, Snails and Puppy Dog Tails – This is a fun and simple way to learn letters this winter and can be played with in various ways. 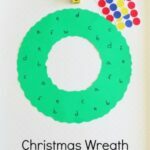 Christmas Wreath Alphabet Activity – The end result of this playful alphabet activity is a beautiful wreath craft that can be put on display this Christmas. Giant Alphabet Christmas Tree from Toddler Approved – I love the simplicity and long-lasting fun this Christmas tree activity provides! 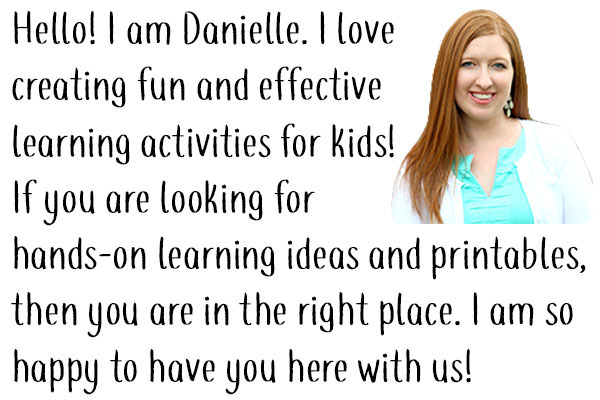 It is perfect young toddlers and preschoolers! 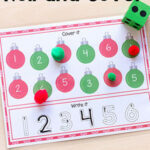 Dot the Letter Christmas Tree – Kids will develop critical thinking skills and learn letters with this activity. 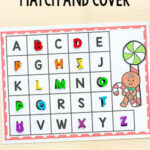 Reindeer ABC Matching Activity from Fantastic Fun and Learning – Learn letters and play with play dough? This is sure to be a hit with kids! 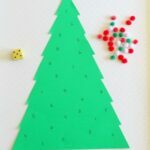 Decorate the Christmas Tree ABC Activity from hands on: as we grow – Grab your green painters tape and have a blast with this playful activity! 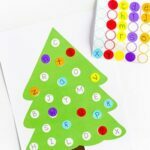 Christmas Alphabet Sticker Tree from Reading Confetti – We love letter matching activities and this one is an absolute favorite! Christmas Reindeer Roll Activity from Growing Book by Book – This super fun alphabet activity will have preschoolers moving and learning. Christmas Alphabet I Spy and Trace from I Heart Crafty Things – This is perfect for kids who are learning to write the letters of the alphabet. Alphabet Matching Christmas Lights Activity – Learn letters with alphabet Christmas lights! 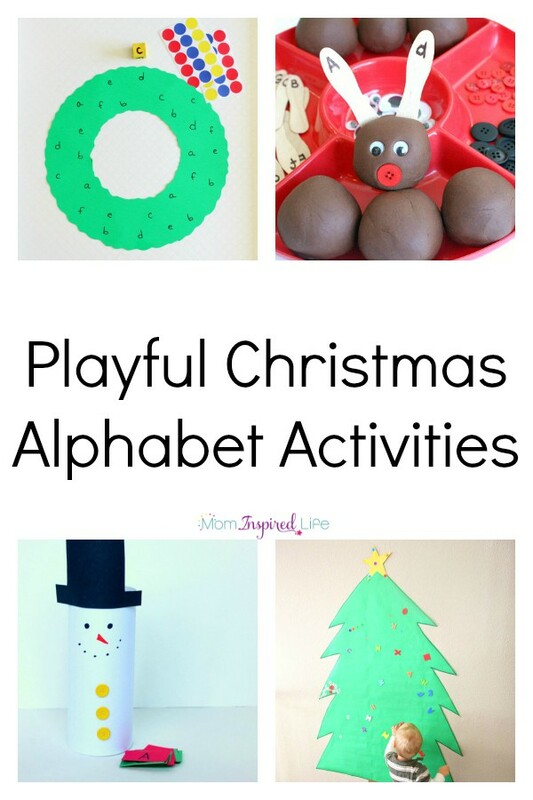 I hope you found a few alphabet activities to do with the kids in your life this holiday season. We are having so much fun with them! 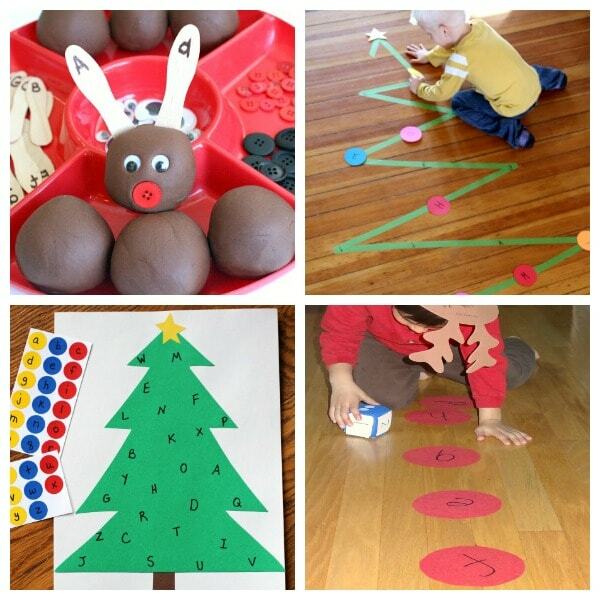 Here are some more playful Christmas learning activities your kids will love!